KOREA SUMMER GRAD TRIP: BUSAN - Eunice C.
especially when we appeared to be perplexed and lost while searching for our way. They were so friendly that they graciously proceeded with the conversations despite the language barrier! This, however rarely happened in the nation’s capital, based on our experience. I guess that applies in most big cities, where people appear to be less approachable. In this post, I will be highlighting the significant places we visited during our two nights stay in Busan. If you have not read the summary of our trip to South Korea, here's a link to it! We touched down at Gimhae International Airport at around 9am. After checking into our stay and freshening ourselves up, we headed to Jagalchi Market for our first meal of the day. 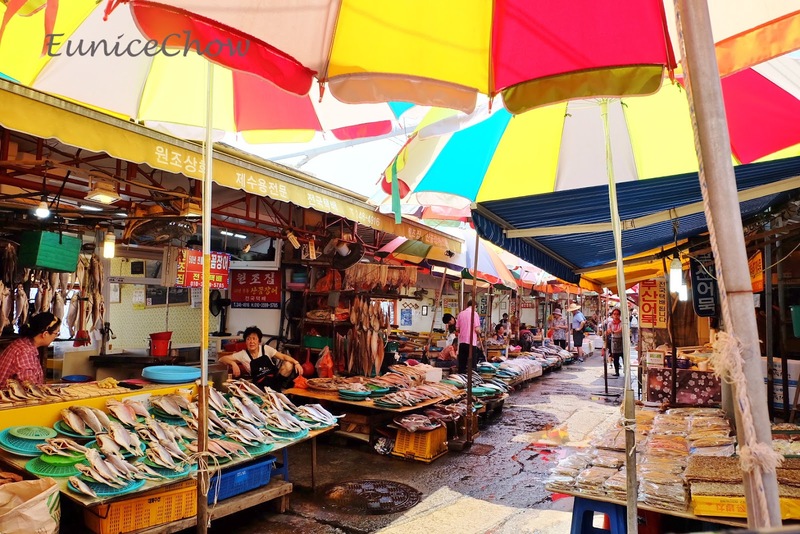 Jagalchi Market, a popular seafood market in Busan, is a worthy place to visit for all seafood lovers. 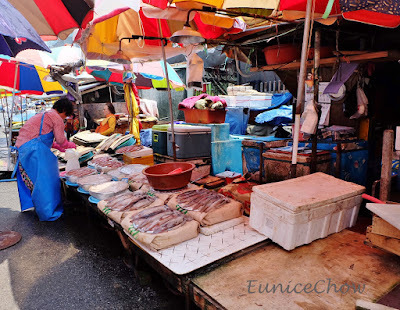 We walked past the stalls that displayed their fresh catch gloriously, and finally reaching a building that houses many seafood restaurants and stalls. 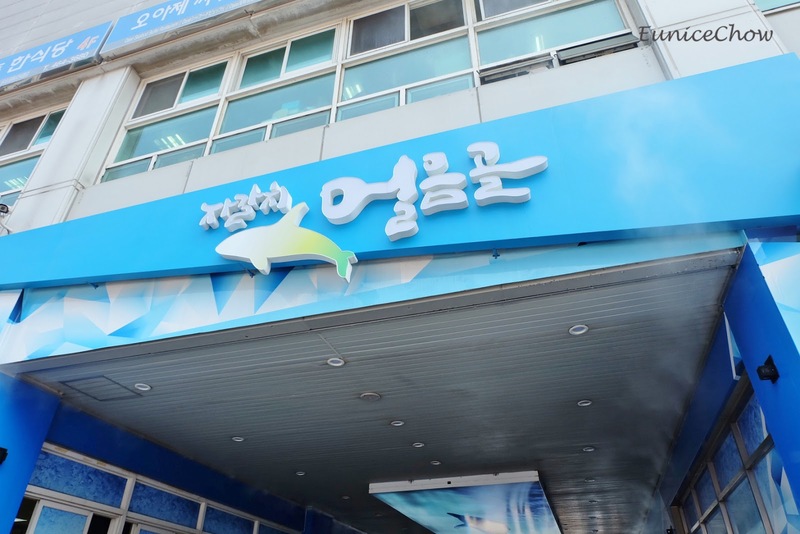 The first floor of this building is a market that sells many types of live seafood, whereas the remaining floors contain restaurants serving fresh seafood. The second floor mostly specializes in serving sashimi and apparently, you can purchase the live sea creatures from the first floor and get it sashimied on the second floor! For someone who adores raw fish, the scent of fresh seafood was pleasantly overwhelming when I first went in. 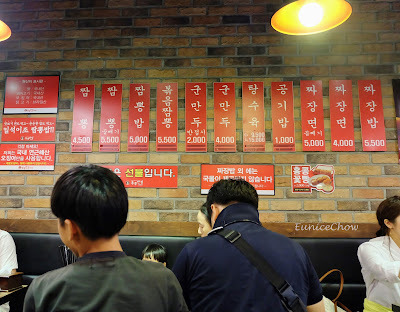 We surveyed the food stalls and the prices they were offering for each dish were similar: ranging from 30 000~ 50 000 won. 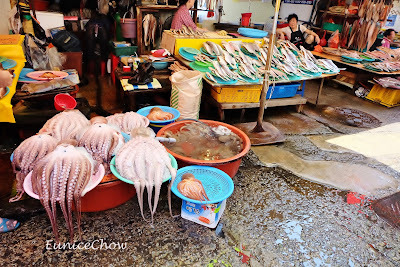 We found a stall that served cooked seafood, as some of my friends do not prefer sashimi. It was pricey for us, even after sharing among five people, where each of us needed to fork out 16 000 won, considering they were freshly cooked seafood. The stall owner was kind enough to give us two complimentary Korean pancakes after some negotiations. We ordered two dishes: assorted seafood and eel. The former had an array of fresh seafood such as crabs, mussels, squids, and prawns. It was so fresh that you could taste the sea in them. The eel was nicely cooked, but it was not my favourite. It was more than enough for an afternoon meal, as the two large portioned main courses were accompanied with an unlimited helping of variety of side dishes. From Amnadong Community Centre bus stop, we took Bus 30 to Jagalchi market. Haeundae Beach is Busan’s most famous and happening beach particularly during summer. Summer is the season of festivities on the beach, where many beach-related events are scheduled at this time of the year. 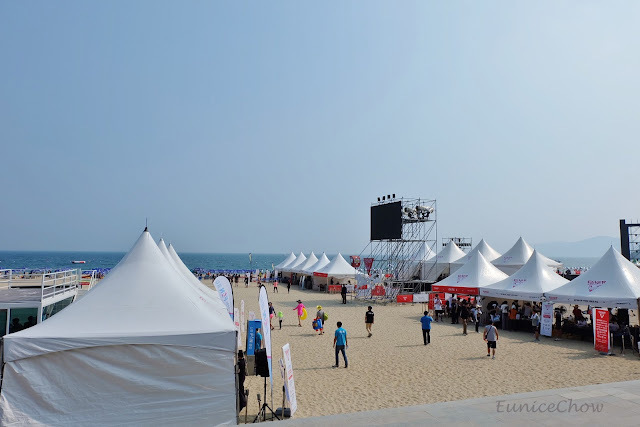 In fact, Haeundae beach has always been known to be the venue for cultural activities held throughout the year. We were greeted with merriment and festive vibes from Haeundae Fever Festival 2016, a music and e-sport festival. If you’re looking for a beach that gives serenity and quietness, this is probably not your ideal choice. 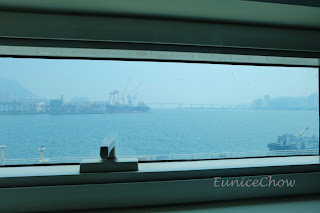 I was deeply mesmerized by the scenic view before me; the city’s skyscrapers overlooked the majestic blue sea and from afar, the gentle waves crashed onto the shores and faded away. While all the beachgoers seemed to enjoy basking in the sun, we were fazed by the sweltering summer heat and were reminded of the tropical weather back home. Perhaps it was not a good idea for us to come to South Korea during summer. Thus, we just took a few photos before we got sunbaked for real. 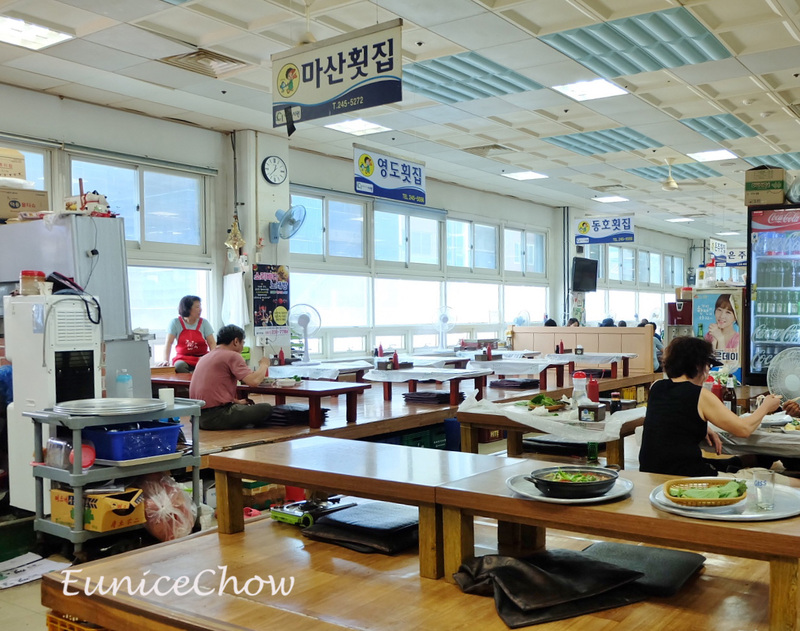 Located nearby Haeundae beach, this outlet has the reputation for serving one of the best Korean BBQs in town. It was a little difficult getting there but after a few wrong turns, dead ends, and vague directions given by the locals, it felt rewarding upon reaching the place. We ordered three items on the menu to be shared among five people. Note that restaurants in South Korea set a minimum number of items required for ordering depending on the number of patrons in a group. We placed our order for two types of meat for the barbecue: pork jowls & marinated skirt meat. In addition to that, we ordered a bowl of seafood ramen. It is customary to have perfectly grilled meat wrapped with lettuce or Korean perilla before enjoying it. I could taste the soft succulent meat that was complemented by the crunchy raw veggies. The savoury pickled side dishes did help in cleansing my palate whenever I needed a little break from the meat. The bowl of seafood ramen was heavenly! The soft slithery ramen cooked in savoury soup had reasonably generous portions of prawns and mussels. Our dinner was indeed a great satisfaction, and I’ll definitely be back for this in the future. From the Starbucks (in the building opposite Haeundae Beach), turn left and go straight till you see SandWell Petrogas at the corner. At the junction, turn right and walk straight till you reach another junction with GS25 on your left. Turn right at the junction and walk straight till you see the restaurant on your left. 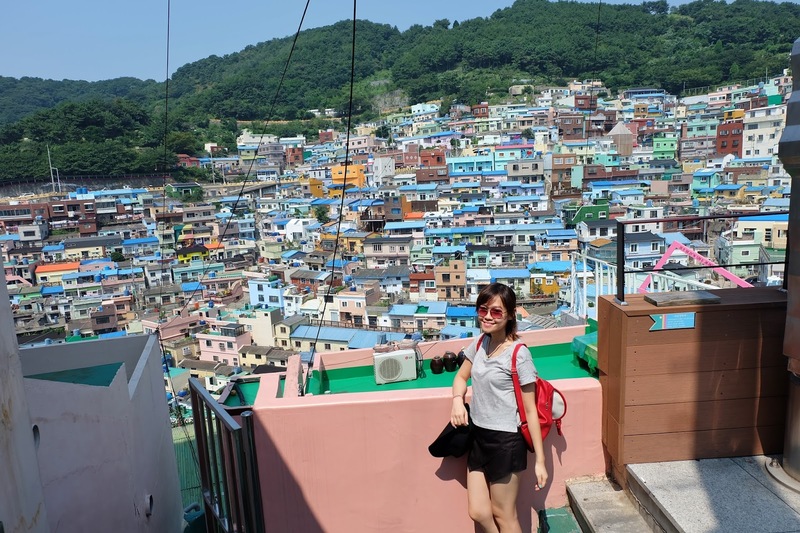 Dubbed as the “Santorini of Korea”, Busan’s Gamcheon Culture Village also resembles Peru’s Machu Picchu and Rio de Janeiro’s Favela. Favela means slums, as seen in the fifth installment of Fast and Furious. No wonder this place looked familiar to me. This village was indeed a slum settlement, according to history dating back to the 1950s as many Korean War refugees fled to this safe area in Busan. 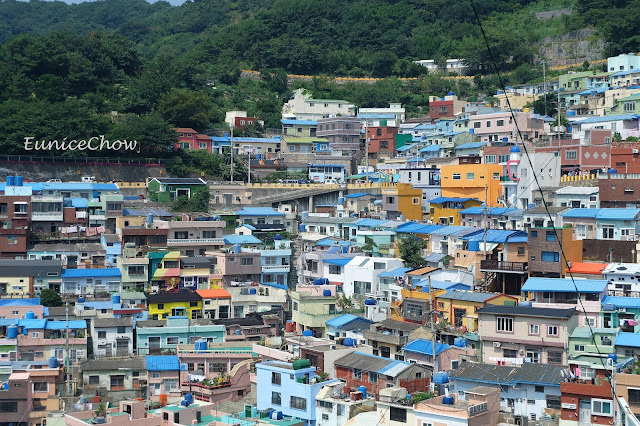 This village was indeed a slum settlement, according to history dating back to the 1950s as many Korean War refugees fled to this safe area in Busan. 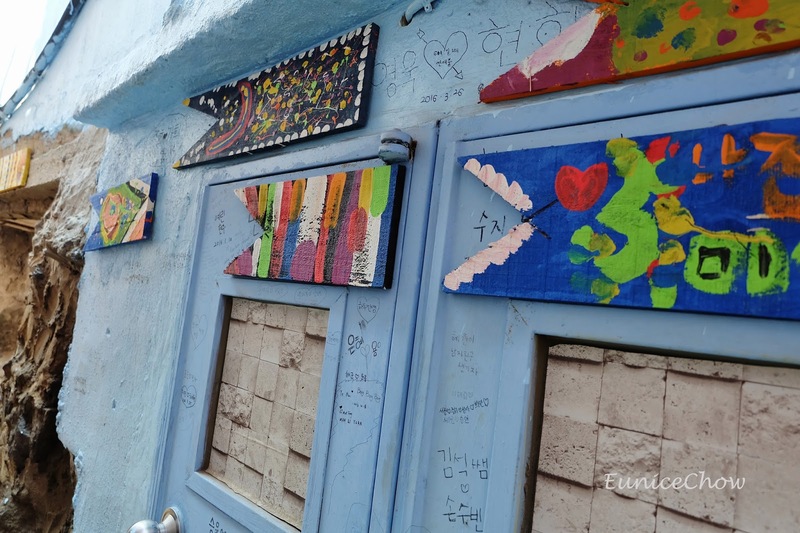 Fast forward to the present, Gamcheon Cultural Village underwent a makeover and its new look had earned a spot in the list of Busan’s most noteworthy places to visit. You may purchase a stamp map at the tourist information office for 2 000 won for a scavenger hunt challenge to get 9 stamps in exchange for a postcard as a reward! However, we were not feeling adventurous for a hunt. The map was crucial in guiding us throughout the intricate framework of the village as well as leading us to the iconic artwork sites. I did find it amusing walking on the steep stairs and through the narrow alleys while admiring the street arts surrounding me, feeling as if I was in a different realm. One tip when looking for major landmarks in the cultural village: follow the crowd. The crowd seemed to be attracted to a common site of interest, namely the Little Prince and the Fox statue. There was an insanely long queue of Little Prince’s diehard fans waiting in the hot sun for their turn to be photographed with him. My friends and I joined the fandom. In South Korea, it is always amazing to see that queues are automatically formed when there is a large crowd of people waiting for something, especially at the subway entrances. There are a few spots in Gamcheon village where you can get a panoramic view of the village at a perfect vantage point. Gamcheon Culture Village is indeed something out of the ordinary in South Korea. Its unusual architecture made me want to reside in this reclusive neighbourhood. But on a second thought, it probably would not be as peaceful and reclusive in reality due to many bustling tourists in this place. We took a taxi from our motel in Seogu. It costs approximately 4500 won. Alternatively, you can take bus sahagu 1 to the cultural village. BIFF Square, as its name implies, was built to commemorate the beginning and future development of the Busan International Film Festival in 1996. 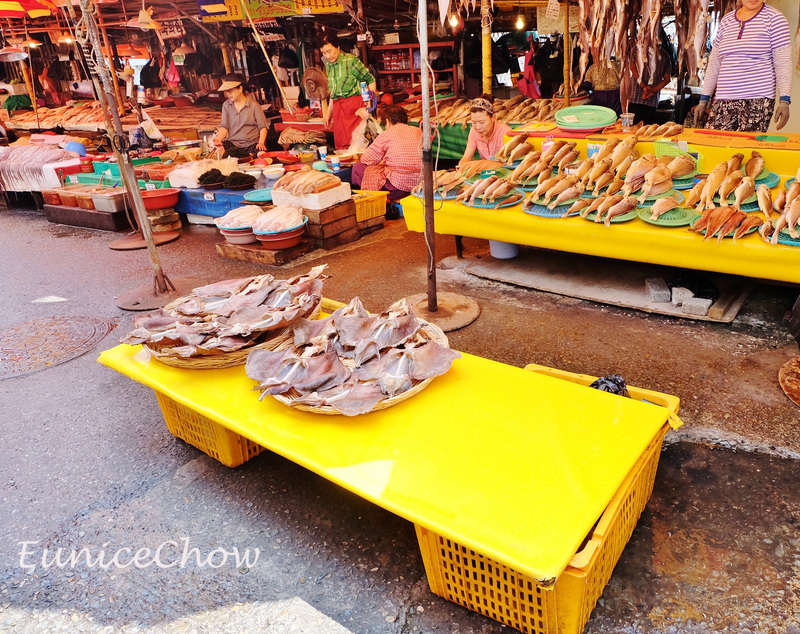 Formerly an official venue for Busan International Film Festival (now transferred to Busan Cinema Center), BIFF Square features many hand prints of movie stars and it is also a hot spot for the local street food vendors as well as an avenue for Korean cosmetics and fashion brands. 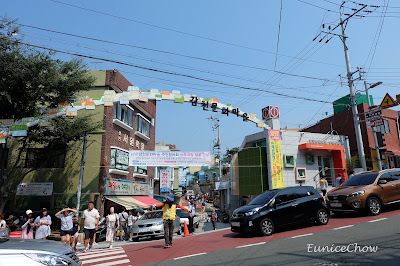 Needless to say, BIFF Square and other streets nearby such as Gwangbokdong are for the shopaholics to splurge in Busan. We had our lunch at Hong Kong Ban Jum 0410, a chain restaurant in South Korea. In fact, we stumbled upon another restaurant with the same name in the United States in Google Map for the directions. Perhaps they extended their branch over to the States. 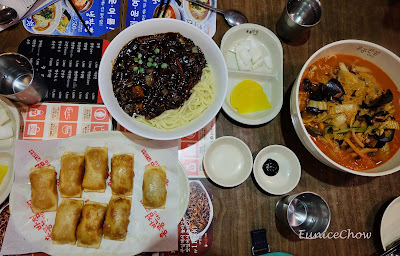 This restaurant serves Chinese-inspired Korean food, hence their popular Jjajangmyeon (noodles in black bean sauce, a Korean-Chinese dish). We ordered two large bowls of noodles: the famous jjajangmyeon and jjampong (spicy seafood noodles) alongside a dish of mandu (dumplings). The two large bowls of noodles together with the dumplings, made our meal more satisfying than ever even after sharing among 5 girls. I would say this is the most worthwhile meal we had in South Korea, where it only cost each of us 2900 won! What a steal! In Yongdusan Park, Busan Tower stands majestically at 118 metres above sea level. 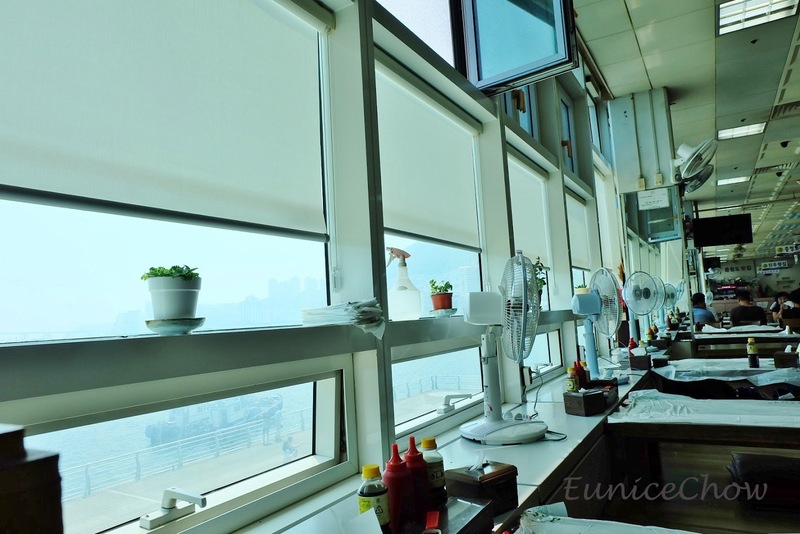 Just like its counterpart in Seoul, it has an observatory that offers a panoramic view of the city and you may also declare your affection by leaving a lovelock at the base of the tower. We had a difficult time searching for the correct route to the tower which could be seen from afar. We ended up taking the most tiring route: the one without an escalator. Since the park is on a higher ground, However, we took another route as we could not find the amenity. Instead, we took the route which had steep steps. In the end, we found out that the escalators were out of order anyway. So, we chose the correct route after all. After being completely exhausted from all the climbing we had earlier, we did not explore further or go up to the observatory. In fact, the photos taken from the stairs at the base of the tower were pretty much decent already. That was enough for us. Being in Busan also gave us the opportunity to try its specialty dish, Dwaeji Gukbap (pork leg with rice). Recommended by a friend’s sister, we went to all the way to Ssandungi Dwaeji Gukbap (Twin Pork Leg) to get a taste of this famous dish. 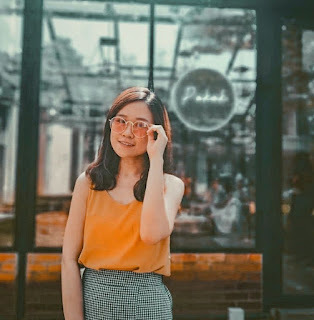 It did not take us too long to search for the place as its signboard displays two adorable twin cartoon pigs, which was easy to look out for. The tender pork meat cooked in a milky broth, achieved by many hours of boiling of the pork bone, was served with white rice and other side dishes. It is usually eaten with rice soaking up the broth but as a personal preference, I would prefer them to be served separately. The broth was rich with flavours, contributed mostly from the pork meat and bone. 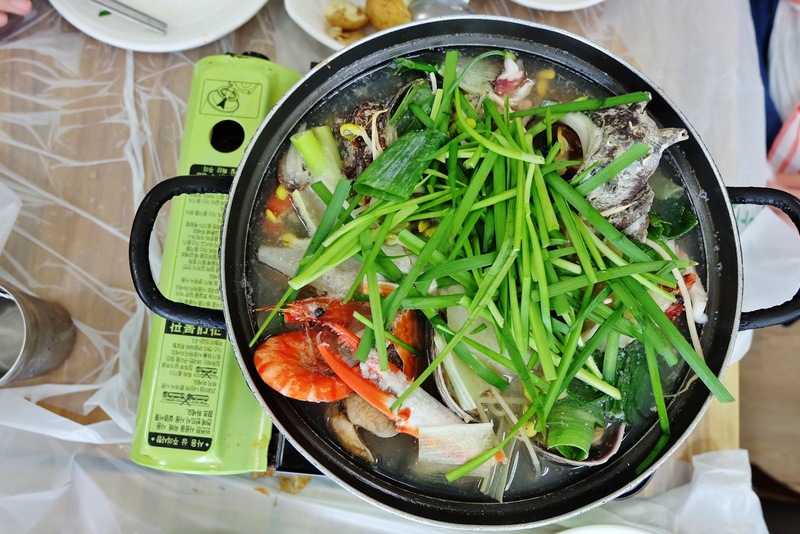 You may add some kick to the broth by seasoning it with some condiments and sides: the tiny shrimps or pickled onions. 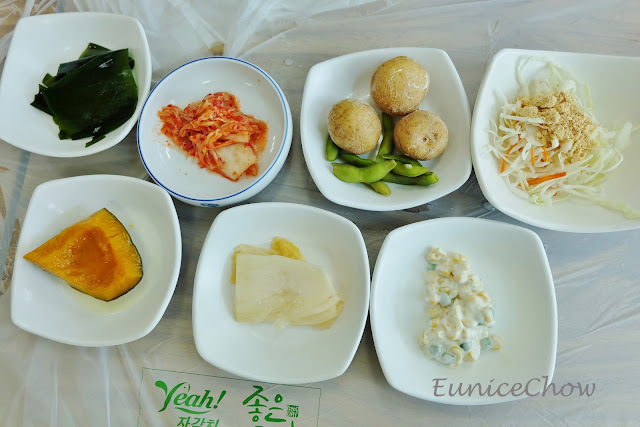 There are also other variations of Dwaeji Gukbap. As first timers, we picked the most basic version on the menu. Take a 7 minute walk to Nampo Station. Take a subway then interchange at Seomyeon station to the green line. Stop at Daeyeon station. Walk for 2 minutes to reach the restaurant. I did some research of my own as I discovered that Gwangalli Beach is popular for hosting water sports activities (yachting, jet skiing, windsurfing and others) and eating fresh seafood, straight from the ocean. It is well known for its fine beach sand. However, we were more interested in relishing the spectacular sight of an illuminated suspension bridge at night. At Gwangalli Beach from a distance, the LED light-studded Gwangan Bridge literally shines like diamonds in the sky. Gwangan Bridge serves to ease traffic congestion on a daily basis and now, functions as a main attraction at night in Busan. Take a subway from Daeyeon station to Gwangan station (fourth stop). From the subway station, turn right and walk straight to reach the beach. That summed up our trip to Busan. 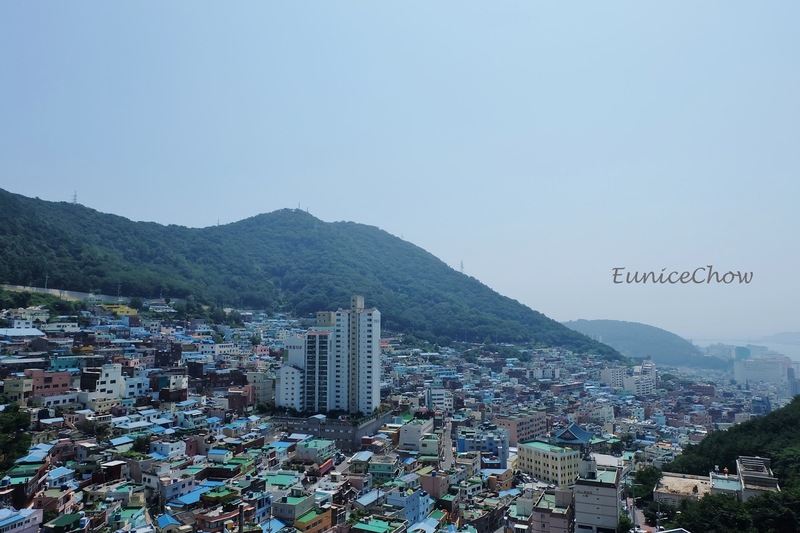 Busan had been really great to us and I wouln't mind living here . Stay tuned for the next post about JEJU-DO! Haeundae Beach looks awesome. I want to try out the food too. you may visit it too! How I wish i can go Korea.. nice country and nice place! Indeed a nice place ! damn....your trip is my life goals...everything was described in such detail by the way...thank you so much for sharing your experience with us! Such a comprehensive write-up. Thanks for the guide. Will keep this in mind. Thanks for the comment :) Hope it helps! I summarised my two-day visit ...Hopefully it's not too tedious for you :p I'm sure you had a great experience too! Wow! 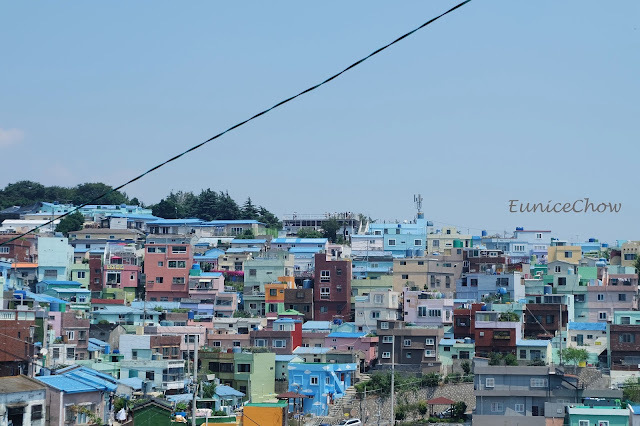 First time I read a blog post on Busan. Historically during the Korean War, Busan was the place where the Americans landed and became a turning point that soon ended the war. I love how the Koreans maintained the cleanliness of the beach, it looks so organized! And of course, Korean food. You can never run out of great food. 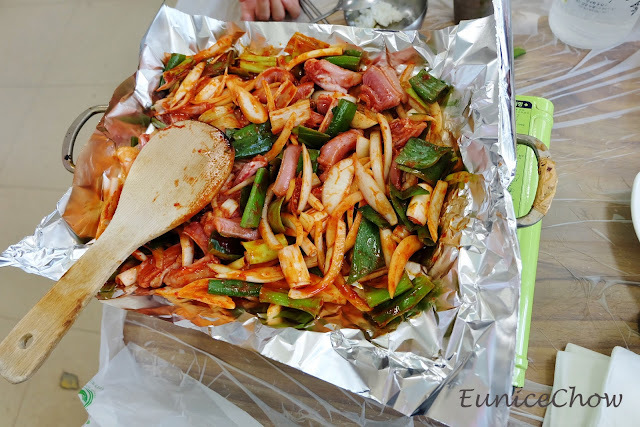 Seriously, some of the best foods in the world are Korean. Wow, you seem to know a lot about Korea! Yes, their savory food is always appetizing. woo i miss korean food already...especially the bbq! 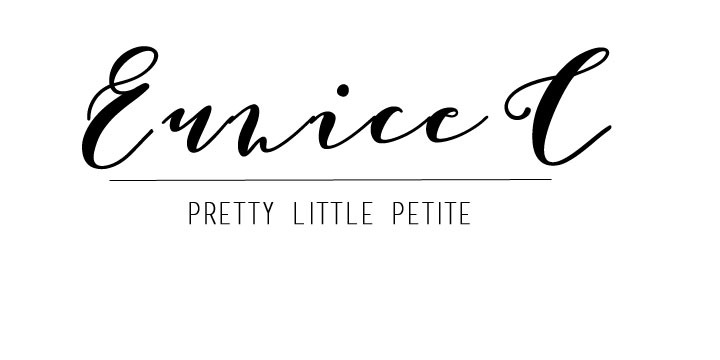 nice writeup and lots of pretty photos.. taken with love! 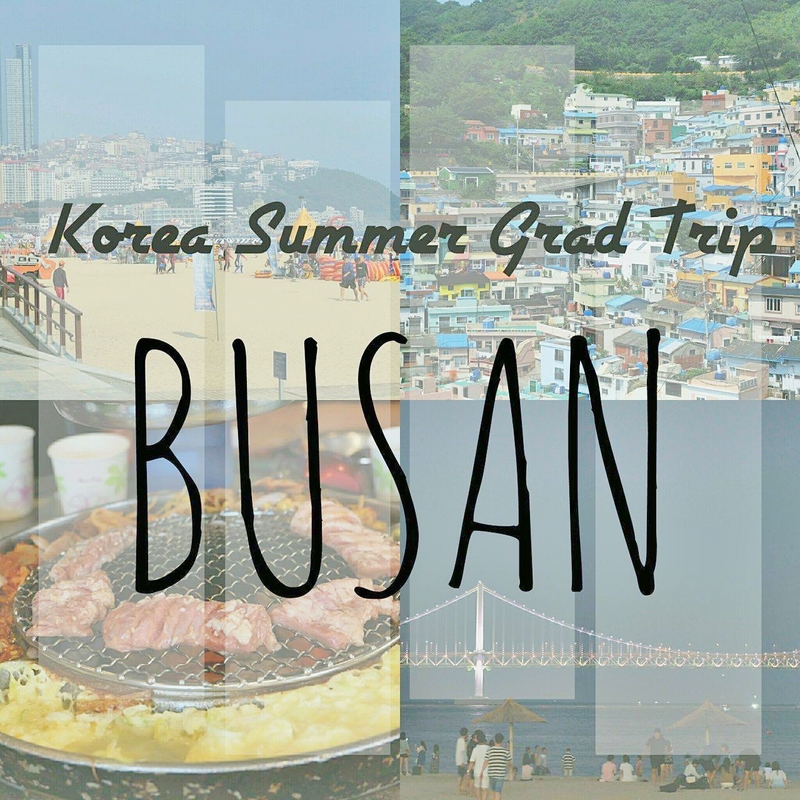 Waaa so many photo worthy place to visit at Busan =) Never been to Korea before, quite look forward it in the future! Hope you have a chance to visit someday! 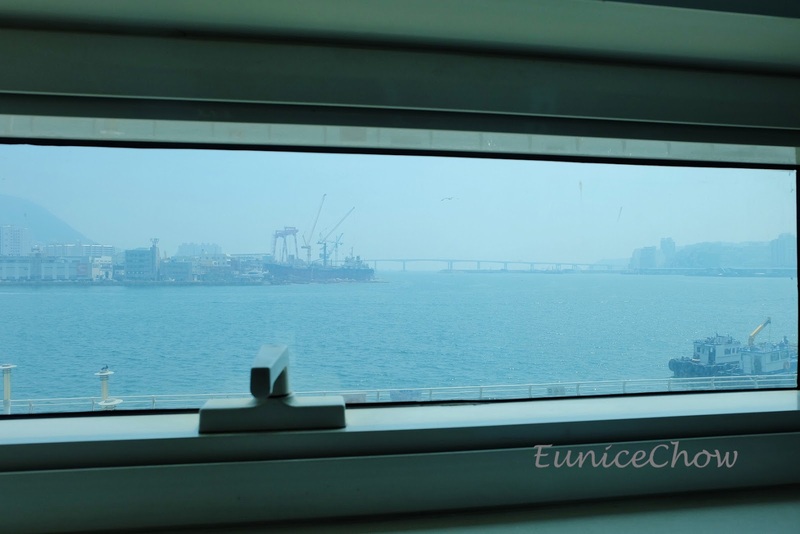 Ah I miss Busan. Quiet small town and lovely food! Wow! 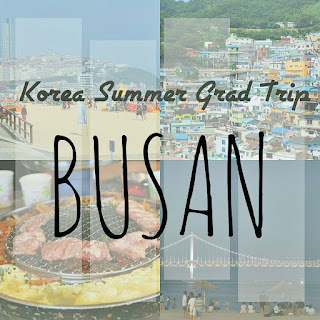 I wish to go to Busan soon. 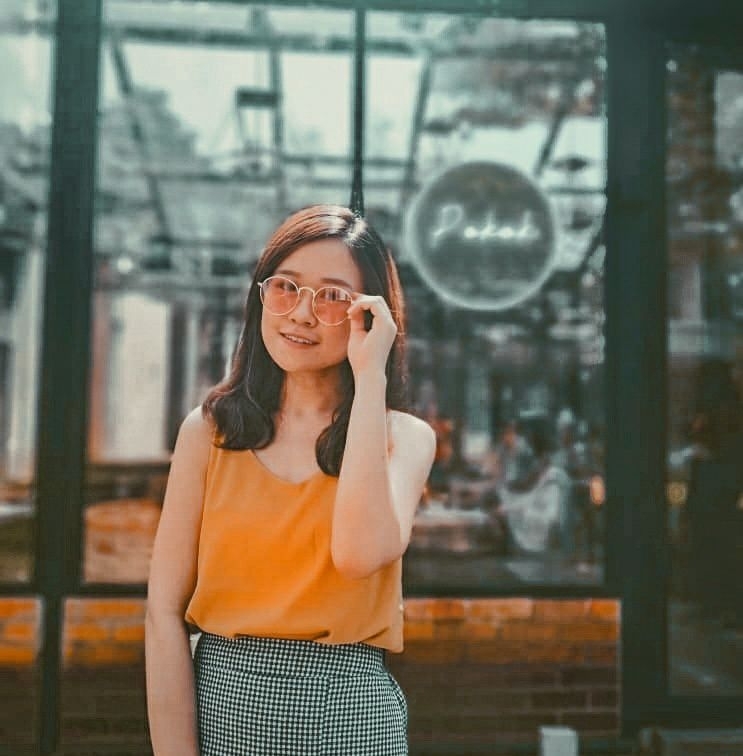 There are so many things to do and nice food to eat there. Hope you have a great experience there in the future!